With the increased usage in Probiotic foods for the aquaculture industry, there is a growing interest from hobbyists. If these foods are increasing the survivability of larval animals in open pens, why not in controlled aquariums? Also, these foods are being used to raise crustaceans as well as fishes. Could this be applied to corals and other reef tank inhabitants? The usage of probiotics comes in a few forms. First of all some foods are designed to be used by the brood stock. The idea- produce healthy adults; get healthy eggs, grow healthy babies. Be it juvenile fishes, larval shrimp, or healthy medusa. Another method for using probiotic foods is to feed them directly to the gut of first stage animals. In this case the probiotic is the food source, or is added to a food source to be consumed the by the “baby animal” we are trying to raise. A third method is to produce a probiotic environment. In this case the aquarium is dosed with probiotics and the water is kept with a certain level of these biotics at all times. We’re working with hobbyists in different parts of the nation to test out some of the probiotic foods available to the hobby. Early tests include Cleaner Shrimp, Seahorses, Banggai Cardinals, and Clownfishes. All animals which have been heavily tested, and with some to great success. Another area of testing is in regards to coral fragging. It has been hypothesized that by treating corals with probiotics prior to, or possibly just after, fragmentation could lead to reduced infection and increased survivability. One of the real issues encountered by researchers in this field is that showing positive effects of probiotics is very difficult. Like the testing of many aspects of nutrition and aquaculture, it is easy to show what doesn’t work, and difficult to show what does. Upcoming articles will compare the success rate of growing a “batch” of fishes (say Seahorses) in similar setups but with varying levels of probiotics in their foods. In order to really test a range of probiotics we first need to identify the biotics being used and tested. This first project is designed to let us know exactly with what biotics we are testing. With the increased development of probiotics in laboratory settings, we are seeing an increase in probiotic foods. Commercialization of probiotics is gaining strength in the human foods production, as well as in aquaculture. Increased production in aquaculture has been linked to probiotic foods, with claims that these foods contain Bacillus spp., a gram positive bacterium. This project looked at one of the major sources of aquaculture probiotics, and analyzed the bacteria used in the substance. Currently shrimp farms are testing (with very positive results) the usage of INVE Technologies Sanolife line of probiotics. If you aren’t familiar with INVE they are a large commercial aquaculture company with offices around the world (based out of Belgium). INVE has developed a food source, which they claim is inoculated with millions upon millions of living bacteria. They claim that the bacteria are Bacillus subtilis, Bacillus licheniformis, and Bacillus pumilu. We expect to recover three distinct Bacillus isolates. Bacillus is a genus of gram positive bacteria that can be easily recognized. These cultures should grow very well in aerobic conditions, but not as well in anaerobic conditions. However, given the importance of anaerobes in digestion, we would not be surprised to see anaerobes in the mixture. Determining whether or not anaerobes are present in this mixture is also a core purpose in this study. We started with a sample of Sanolife MIC and cultured the material for bacteria. The original mixture for germination was prepared following the instructions given on the INVE packaging. 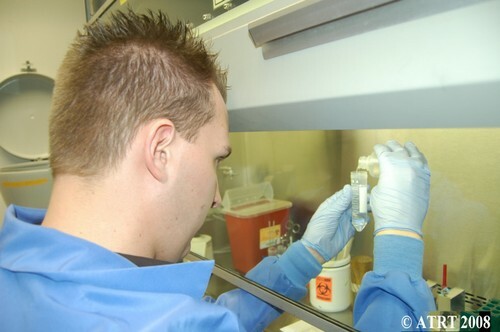 Bacterial culture was performed using standard laboratory practices, which we have provided here. Add .005ml of solution to a 15 ml sterile conical tube containing 5 ml of sterile deionized water to create a 1 x 105 CFU/ml solution. This is dilution #1. Take 0.5 ml of dilution #1 and add to a 15 ml sterile conical tube containing 4.5 ml of sterile deionized water to create a 1 x 104 CFU/ml solution. 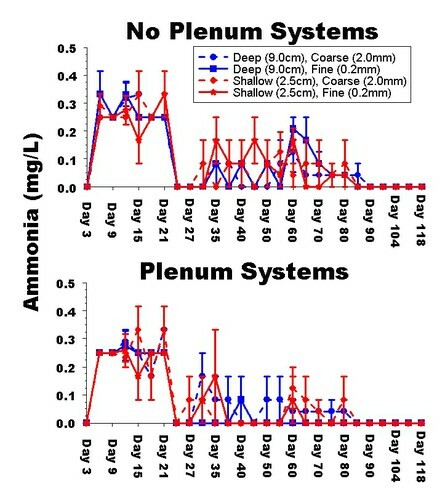 This is dilution #2. Plate dilution #1 to a SB plate using a .001 ml calibrated loop, streaking quantitatively. Incubate in CO2. Repeat step #13 for dilution #2. Plate dilution #1 and dilution #2 to remaining culture media using one drop per plate. Streak plates for isolation. Incubate media as dictated by type. Read cultures @ 24 hours; perform subculture and identification as necessary. Author Robert Durrant sterilizing the measuring equipment. 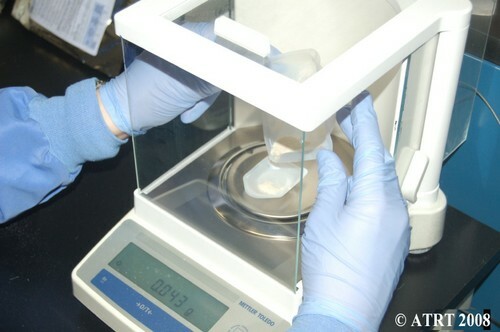 Author Robert Durrant weighing out sample. Author Robert Durrant preparing original solution. 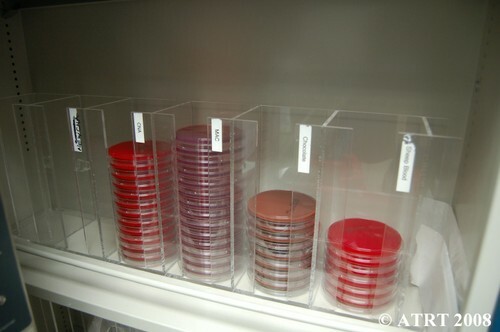 Cabinet with standard microbiology agar plates. Author Robert Durrant using a colorimeter to measure turbidity. Author Robert Durrant streaking a plate quantitatively. 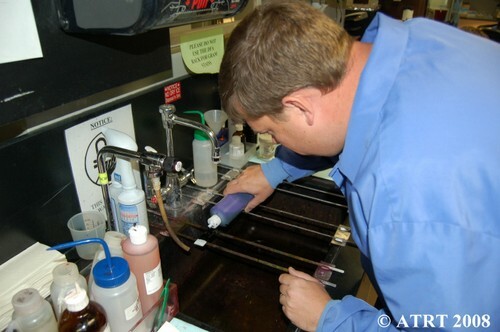 Author Adam Blundell staining slides. Growth comparison of 24 hour old fastidious broths with a clear solution. Mixed 24 hour growth on a chocolate agar plate. 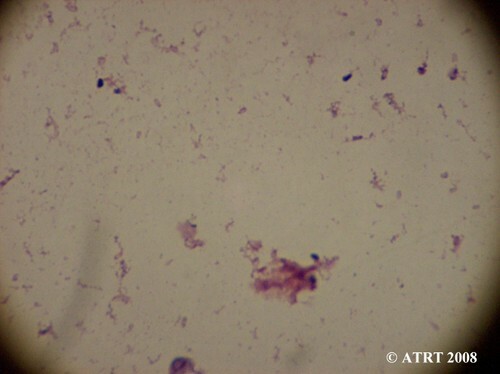 A mixture spore-forming gram positive rods are seen in this microscopic photo of a stained slide prepared during this study. 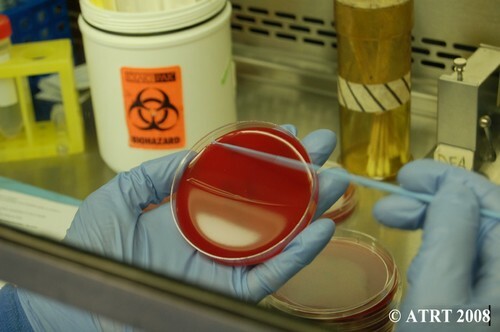 Seven types of solid media and one liquid medium were used to culture the bacteria. 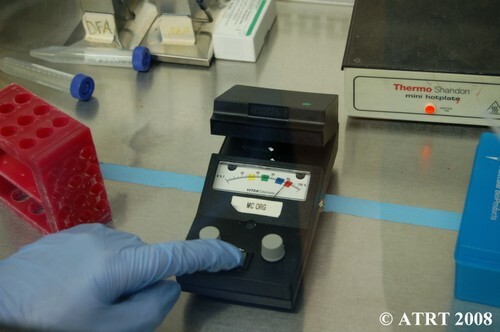 Our initial hypothesis was to verify the presence of the probiotics, as well as to locate any anaerobes which we do not expect to find in the sample. The culture did not contain gram negative bacteria. The culture did in fact contain three species of Bacillus. Bacillus organisms were not fastidious but did grow much better on the chocolate agar. The Bacillus isolates grew under anaerobic conditions, but no obligate anaerobes were present. While Probiotics continue to grow in popularity, it is important to look at the actual organisms found in culture. There is indeed a varied mixture of probiotics and in the case of Sanolife MIC the organisms are three different strains of Bacillus spp. 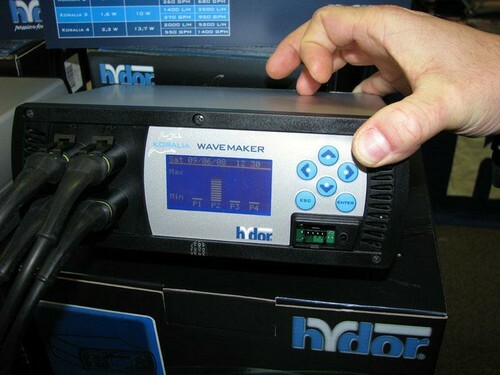 Our studies show this source to be active, and without contaminants. For questions and comments about this article and the related upcoming projects please contact the authors at adamblundell@hotmail.com. 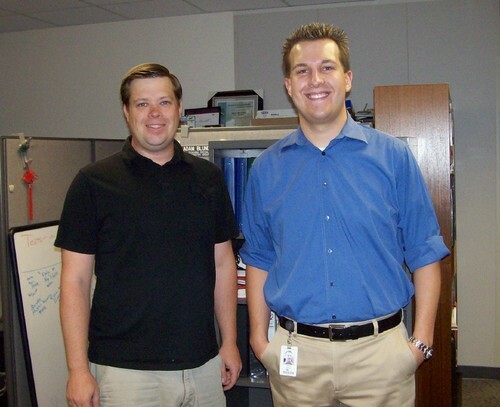 Adam Blundell MS C(ASCP)CM & Robert Durrant MT (ASCP)CM. Blundell, A. (2008), “Probiotics Part I- A Lot of Hype or a Lot of Help?”, Advanced Aquarist Online Magazine, October 2008. USA. INVE Technologies, Package Insert from ProBiotic Sanolife MIC.